Different models of market entry can be more suitable for certain countries. While appointing an agent or distributor is frequently the first step, in this chapter we have selected some key markets and looked at the usual or most appropriate options for developing business. Here we look at export to India. India is a huge market of over 1.2 billion consumers and as it is further behind China in terms of development is regarded by many UK companies as offering untapped potential. 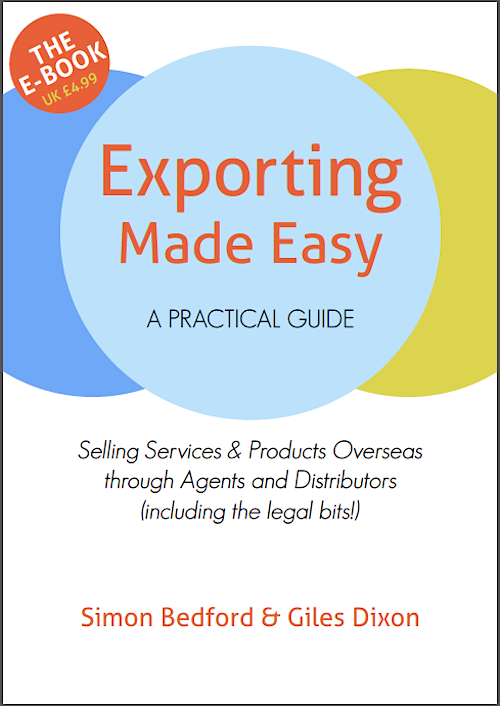 Companies often look at direct exporting and then search for agents and distributors. These may not prove successful as much is promised and not delivered particularly regarding total market coverage. After building up some experience with visits to major cities in India, companies may well conclude that they really need a local partner to access and develop the market. In addition, import duties and supplementary taxes can add around 35% or more to the landed cost. Therefore, some local manufacture or assembly or in the case of services, delivery with locally engaged staff, may be necessary to reduce costs in a price sensitive market. These considerations may result in the setting up of a joint venture with a local company. 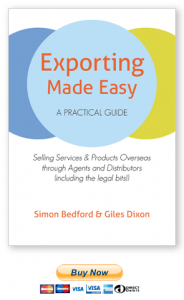 To celebrate #ExportWeek 7-14 November 2014, we offered 25% off Exporting Made Easy. It was reduced from £10.99 to £8.25 plus P&P but has now been returned to normal price. 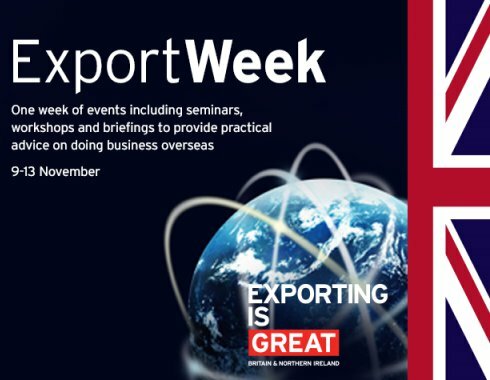 Author Simon Bedford ran workshops at Export Week events in the East of England – to find out more, connect on LinkedIn or find out more on the UKTI website. 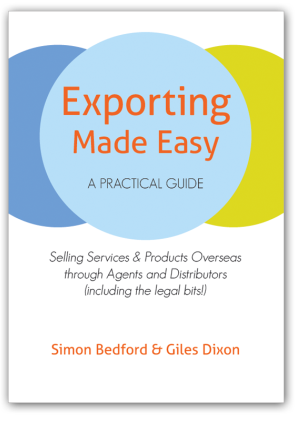 We’ve just launched Exporting Made Easy as a PDF EBook to download for just £4.99. This means you can grab a copy to read on your device, browse at your leisure, search, and print sections you particularly find valuable.